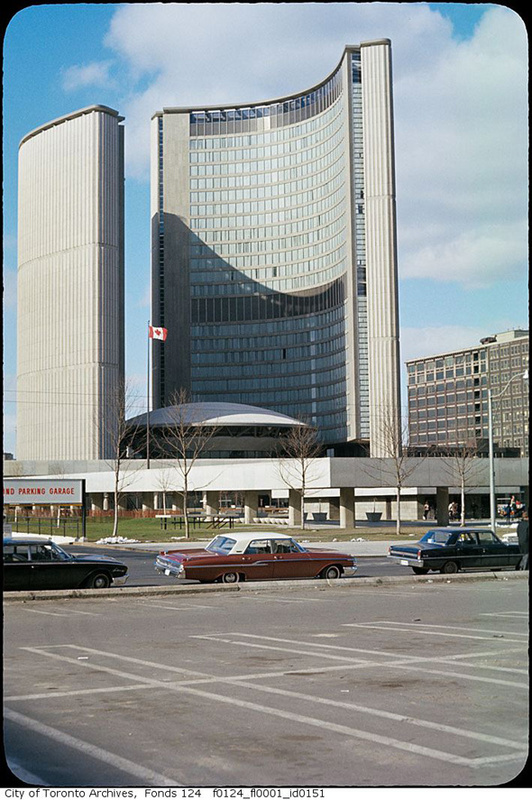 Throughout the 1960s and 1970s Toronto's planners and policy makers were little seduced by the city's old buildings, and in many cases sought to expand and develop Toronto from the ground up. 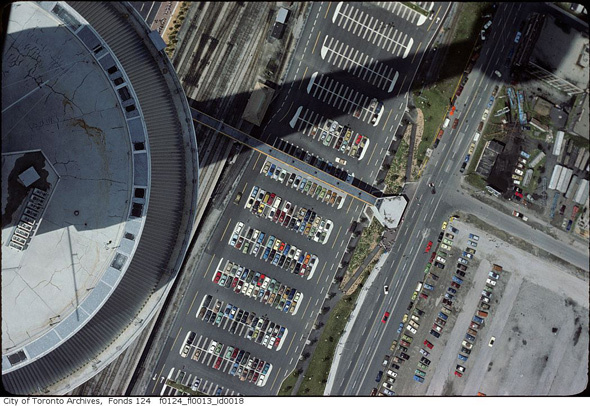 There are countless ways that one could track this particular strand of Toronto's story — by looking at plans for superhighways, at the grand buildings lost to demolition, or even at aerial photos that depict the changing shape of the city — but the starkest visual evidence is the preponderance of parking lots in the downtown core during this period. At the time, buildings weren't just knocked down in order to be replaced with newer structures, but to sit in limbo before development eventually proceeded. 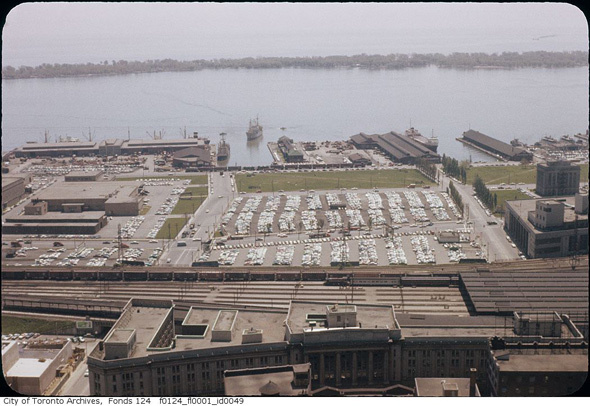 Queen's Quay and Lower Jarvis / Sherbourne area, 1960s (the current site of the Corus Quay building). Most of the empty spaces in these images have since been filled via Toronto's various real estate and development booms, though some not until more recently than you might think. It nevertheless remains mind-boggling to see just how thinned out these areas were only 30 years ago, particularly considering that they were generally quite dense to begin with. 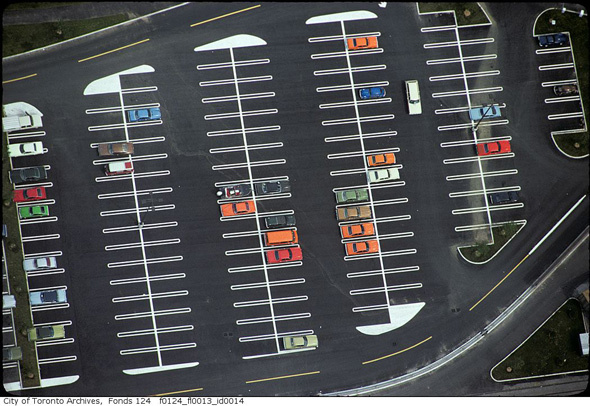 Here's a look at Toronto of the 1960s and 70s, a place where it was never hard to find a parking spot. 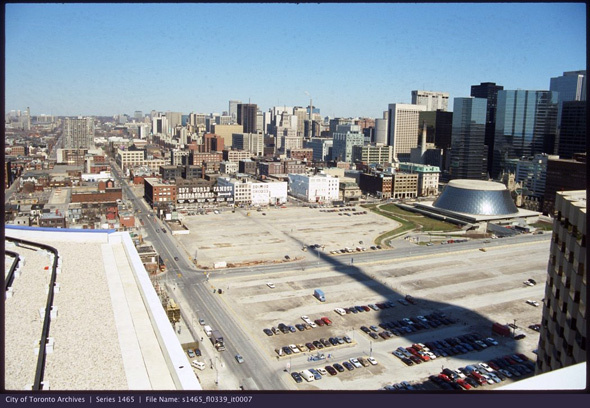 Behold, that time when Toronto was a city of parking lots. Parking lot beside the old north building at the St. Lawrence Market, early 1960s. Parking lot near Wellington and Yonge, 1960s. 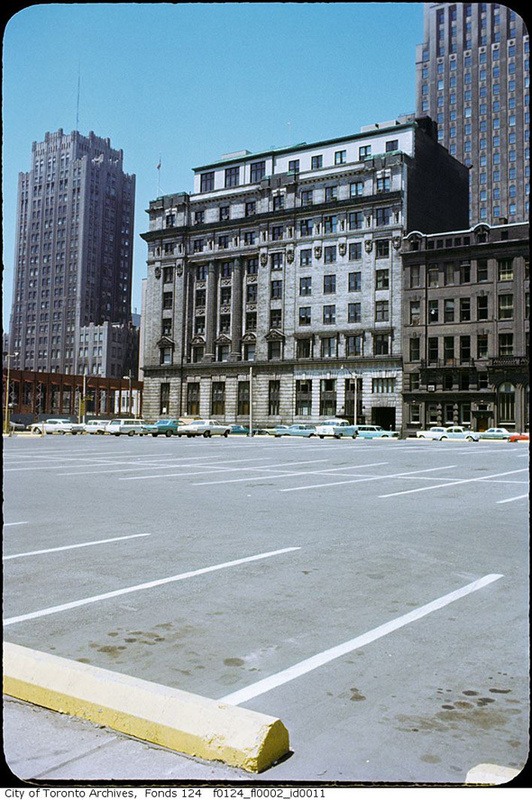 Parking across from City Hall, late 1960s. 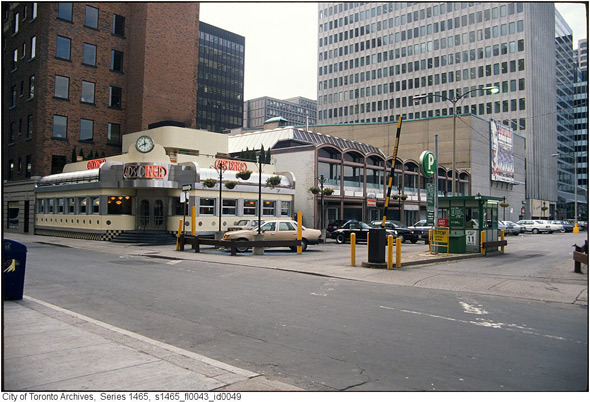 Area between Bay and Yonge south of Front, late 1960s. 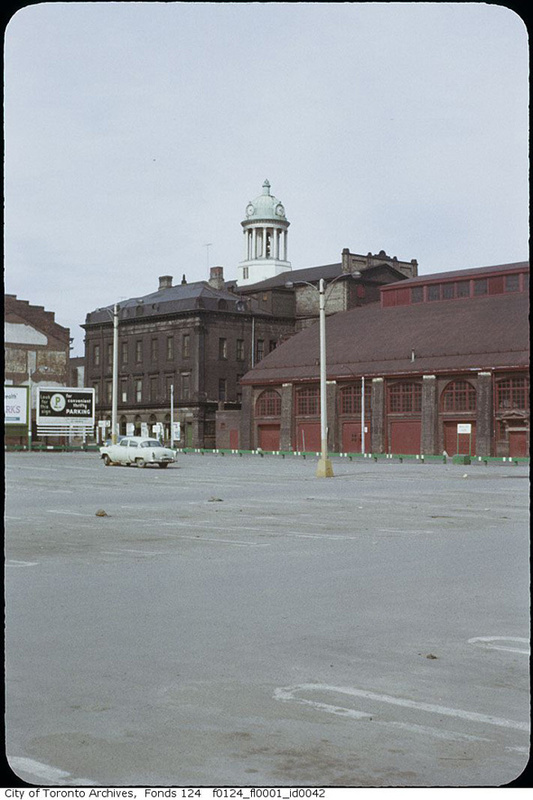 Parking lots abound around the St. Lawrence Market, 1960s. 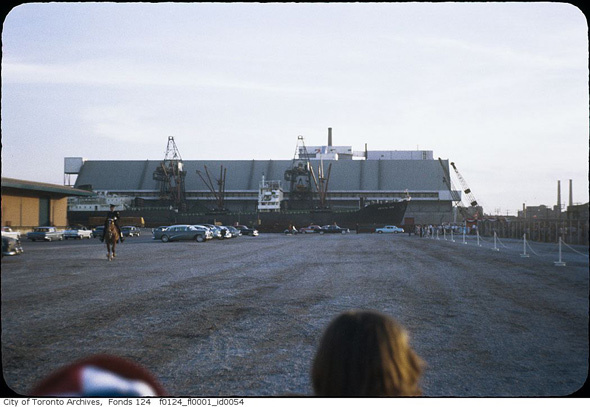 A view of the central waterfront in the 1970s, just before the post-industrial period really kicked off. Photo via Harbourfront Centre. View from the CN Tower, mid 1970s. 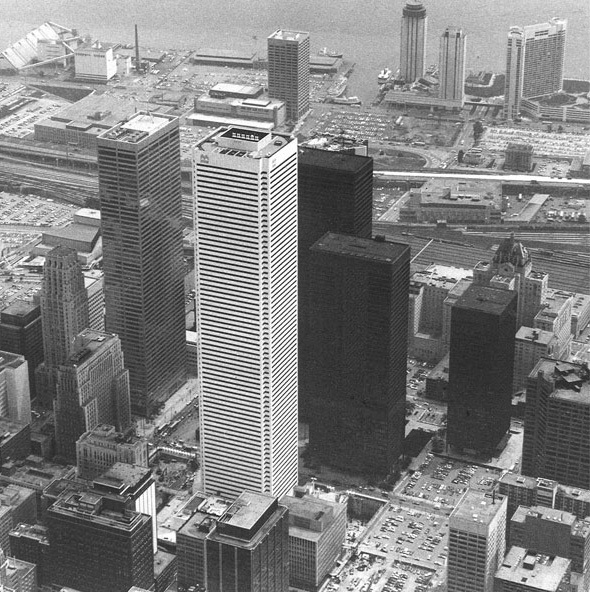 First Canadian Place and area around King and Bay, 1976. Photo via Panda Associates. 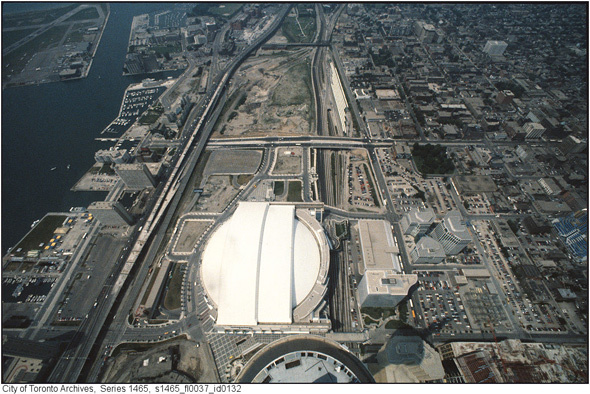 Ontario Place and the Exhibition Grounds, 1980s. 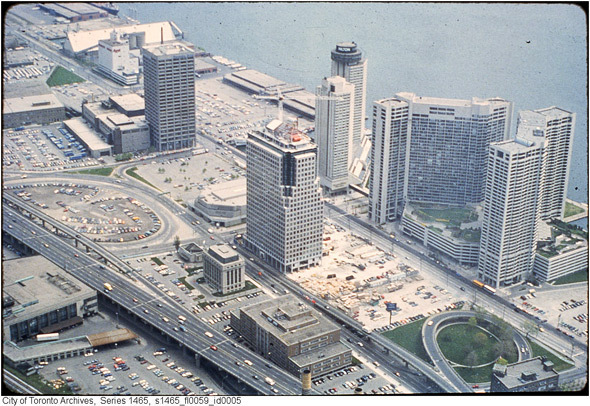 Area around the Harbour Commission Building, 1980s (the current site of the ACC is at the bottom left of the photo). Bellair between Bloor and Cumberland, 1980s. 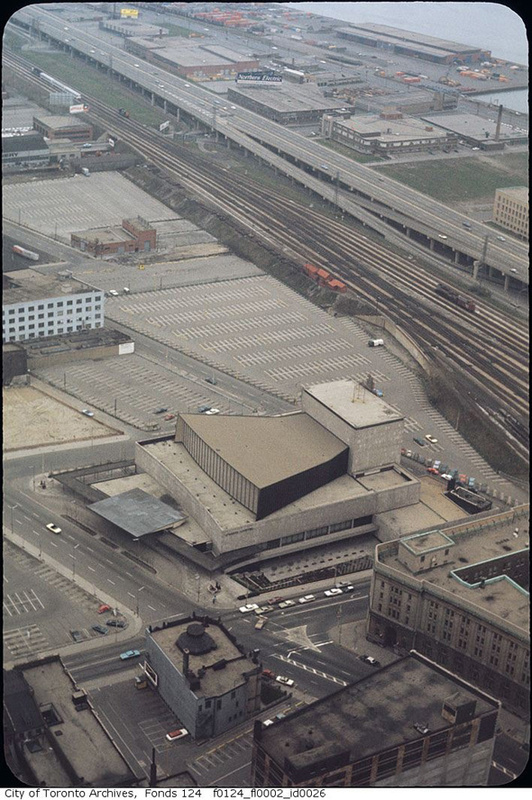 Parking lots around the newly built Dome, early 1990s. Wellington and John area, 1980s. 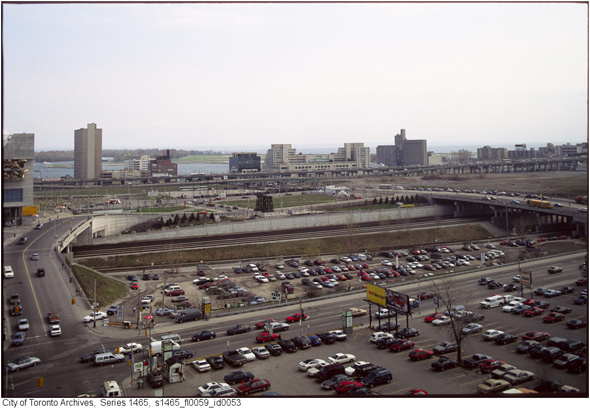 Blue Jays Way and Front (Spadina at the right of picture), early 1990s.